40 Great Nail Art Ideas – Halloween! It’s time for another group post and today’s theme is Halloween. I just love Halloween as a theme for nail art and if you’ve been following my blog for a while, you might remember how crazy I went last October. 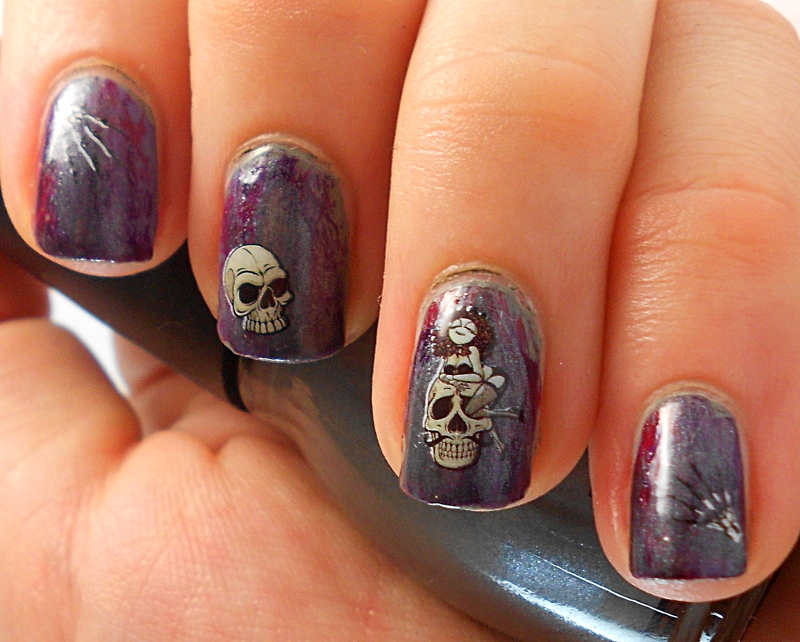 I had a whole month of Halloween nail art with mummies, spiderwebs and more spiderwebs, textured bats, a Halloween-coloured water marble, a great combination of glitter and skulls, some really blinged-out skulls, blood spatter, and black widow nail art.